Whether it’s a private aircraft, corporate or commercial jet each plane that lands at an airport must pay a landing fee. This fee falls under the category of runway charges that each airport bills for, which also includes take-off fees. There are also parking fees charged when a plane remains on the ground at an airport, usually for longer than a 2-hour turnaround time but for the purpose of this article let’s look at landing fees only. Landing fees are based on Maximum Take Off Weight (MTOW) and not actual Take Off Weight. That means that no matter how many passengers are on the plane or how much cargo including luggage the MTOW is taken from the rating specified by the manufacturer of that particular type of plane. Most people tend to think of private or corporate jets falling into only one size or classification of plane but there actually five different categories of private jets. The trend today is using larger size aircraft and having it customized to suit the individual or particular company that owns it. For this reason let’s look at a common aircraft size that is used for that purpose, which is the 767-400. The MTOW of this plane is 450,000 pounds or 204,120 kilograms. These types of aircraft are commonly being used as they can easily transport groups of more than fifty and they are perfect for long range travel. Landing fees vary dramatically as you will see by our list but as they account for just one part of the expense of operating a plane you can imagine when you start to figure in hangar fees, fuel, aviation personnel, etc. just how expensive it is to own your own plane. Why are some landing fees so much more than others? Well some of it is supply and demand and some of it is just good old fashion greed. For example, in Canada and Japan a large part of the fee structure has to cover salaries of aviation executives. Let’s take a look at some of the airports with the highest landing fees rounded out to the nearest dollar. Salzburg Airport is the second largest international airport in Austria. It is located about a mile west of the city center and serves as a gateway for travelers coming to visit Austria’s fabulous ski areas. In 1984 Salzburg hosted the landing of an Air France Concorde as well as their first Boeing 767, which arrived from Norway. In 2012 approximately 1.6 million passengers were moved through the terminals as well as just over 17,000 flight operations. Salzburg had the designation of being the first Austrian airport to house a low-cost airline when it opened its doors to Ryanair in 2001. Low cost airline or not when you land at this airport in a 767-400 aircraft you will pay $3,800 making it number ten on our list. La Guardia Airport is a part of the New York City metropolitan area airport system along with JFK International and Newark Liberty International; they serve as the largest airport system in the United States in terms of passenger traffic and first in the world in terms of total flight operations. La Guardia handled over 26 million passengers in 2013. It serves as a hub for Delta Airlines and American Airlines. The airport has been widely criticized for being outdated and pilots jokingly refer to it as the “USS La Guardia” because the runways are so short and it’s surrounded by water giving them the feel of having to land on an aircraft carrier. Yet, to land at this airport you will pay $3,950 making it number nine on our list. Dublin Airport is located about 5 miles north of the city center. Over 19 million passengers passed through this airport in 2012 making it the busiest of Ireland’s airports. It is followed next by the Belfast International Airport. It is the major hub of Ireland’s flag carrier, Aer Lingus as well as Aer Arann and Ryanair. The Dublin airport also offers United States border preclearance services making it one of only two European airports with this designation. Landing a 767-400 here will cost $4,100 in landing fees. Nagoya Airport used to be the main airport until the opening of Chubu International Airport in 2005. The airport is located on an artificial island on Ise Bay. It is 22 miles south of the city of Nagoya in central Japan. The airport is the main international gateway for the area and is Japan’s third offshore airport, the second built on a man-made island. When the airport opened in 2005 it took over almost all of the existing flights from the old airport now designated Nagoya Airfield. It also took over cargo shipments from Tokyo and Kansai as well. 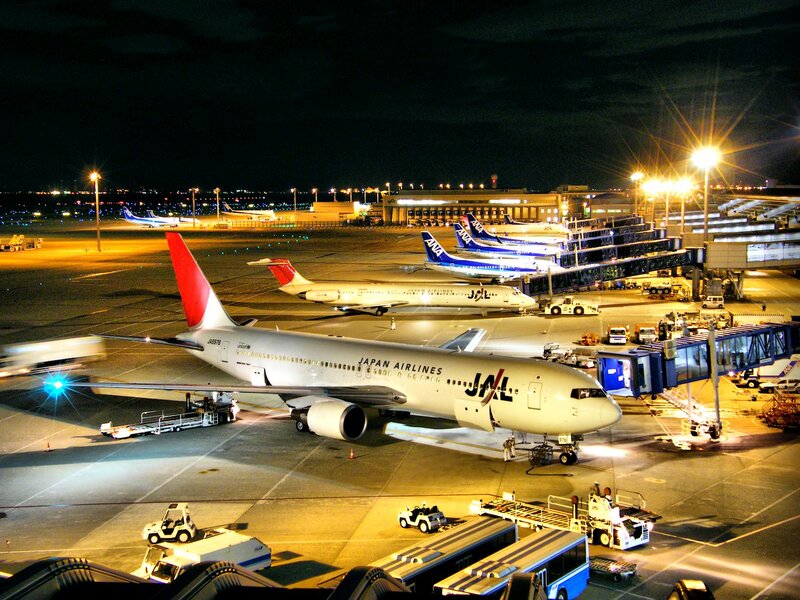 It is a hub for Japan Airlines and All Nippon Airways. At a cost of $4,300 to land here it is number seven on our list. Bristol Airport was built on the site of a former Royal Air Force field and used to be known as Bristol International Airport. In 2013, it was the ninth busiest airport in the United Kingdom, handling over 6.1 million passengers. It serves as a hub for EasyJet, Ryanair and BMI Regional Airlines. Until 2010, aircraft had to park on the apron and passengers either walked or were carried by bus to their flights. In May of 2010 a walkway on the west side of the terminal building was built connecting it to eight new pre-boarding zones, reducing the need for buses. Obviously not the most modern airport and yet to land here in a 767-400 it will cost the equivalent of $4,400 USD making it number six on our list. Darwin International Airport is located in Darwin, Australia and shares its runways with the Royal Australian Air Force base located in Darwin. It’s the 10th busiest airport in Australia serving 26,036 flights and 1,743,734 passengers in 2011. 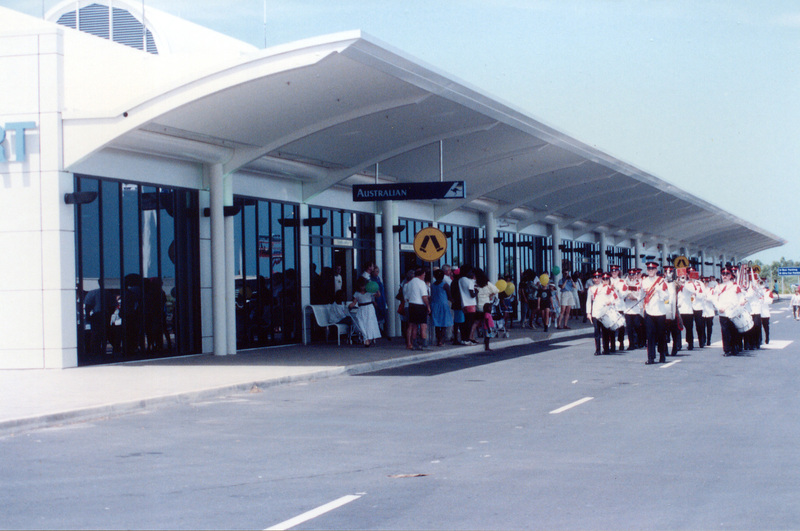 An interesting fact about Darwin Airport is that when the Concorde flights were still in service they utilized Darwin International Airport when flying to Australia as they had one of the only runways long enough to handle them. Darwin International Airport serves Qantas, Jetstar and Virgin Australia Airlines. With a landing fee of $4,600 this airport comes in at number five on our list. Toronto Pearson International Airport is the largest and busiest airport in all of Canada. In 2013, a total of 36,109,469 passengers and 435,592 aircrafts passed through its terminals and runways. It is the 23rd busiest airport in the world for international passengers and the 18th busiest airport just by flight traffic. The airport is the largest hub for Air Canada. It is one of eight Canadian airports with facilities for United States preclearance boarding procedures. The airport generates 106,000 full time jobs directly and another 80,000 indirectly. It is a major hub for FedEx Express, CanJet and SunWing Airlines. Over 75 airlines operate at Toronto Pearson connecting with 155 destinations worldwide. It is only one of two airports in North America, the other being John F. Kennedy International Airport, with scheduled flights to all six of the world’s populated continents. For years this airport had the designation of being first on the list for most expensive landing fees now it is number four. Kansai International Airport is located on a man-made island in the middle of Osaka Bay in Japan. Designed by Italian architect, Renzo Piano and opened in 1994, the airport is centrally located and serves as a hub for Japan Airlines, All Nippon Airways, and Nippon Cargo Airlines. It serves flights to and from 19 cities in 31 countries with total passenger traffic of just over 14 million, of which, 11 million were international passengers. 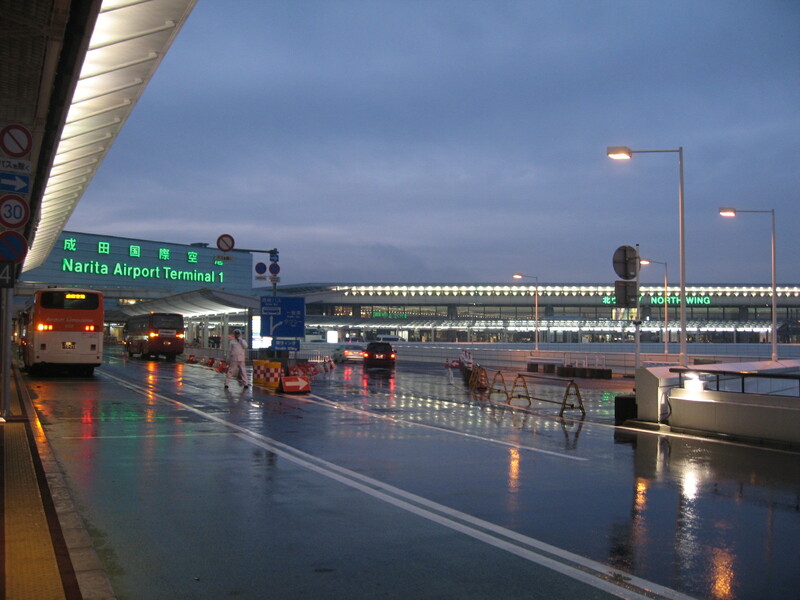 The addition of a second runway in 2007 allowed Kansai Airport to start 24-hour operations, increasing its capabilities. It is the 18th busiest freight airport in the world with just over 802,162 tons of cargo transported. Kansai has become an Asian hub with 500 weekly flights to Asia and Australia. Its landing fee of $5,400 makes it number three on our list. Narita International Airport, also known as Tokyo Narita Airport is the primary international airport serving the Tokyo area of Japan. It handles the majority of international passenger traffic flying to and from Japan and serves as a connecting point for air travel between Asia and the Americas. The airport serves as a hub to Japan Airlines, All Nippon Airways, Nippon Cargo Airlines and Japan’s no frills airlines. It also serves as an Asian hub for Delta Airlines and United Airlines. It has the designation of being the ninth busiest air freight hub in the world. With a landing fee of $5,600 each time a 767-400 jet touches down there it lands as number two on our list. Haneda Airport, also known as Tokyo International Airport is one of two airports that serve the Tokyo area. They are a hub for Japan’s two major airlines, Japan Airline and All Nippon Airways. Haneda has four runways, which allows for extended travel flights to depart and land during the overnight hours. The airport offers nonstop service to 25 cities in 17 countries. In 2013 Haneda had 68,906,636 passengers pass through its gates making it the second busiest airport in Asia and the fourth busiest airport in the world. Interestingly enough it was also named as one of the world’s most punctual airports and according to Forbes in 2009 and 2010 it was recognized as number one in on time performance with 94% of its flights departing on time and 88% of its flights arriving on time. It still remains today on the top ten list of the most punctual airports it the world. Each time a 767-400 model plane lands here it pays the equivalent of $6,850 USD making it number one on our list of airports with the most expensive landing fees.